A very wet day as we travelled from Brewood to the Black Country Museum at Dudley. Matt and Andy (Karen’s nephews) joined us one lock from the top of the Wolverhampton 21 and steered the boat to the museum. Busy at the moorings, surprising how many boats are mad enough to be out on such a wet bank holiday weekend. Into centre of Bham tomorrow – promises to be another wet day. Stayed a few days while I went back to JISC in Bristol. 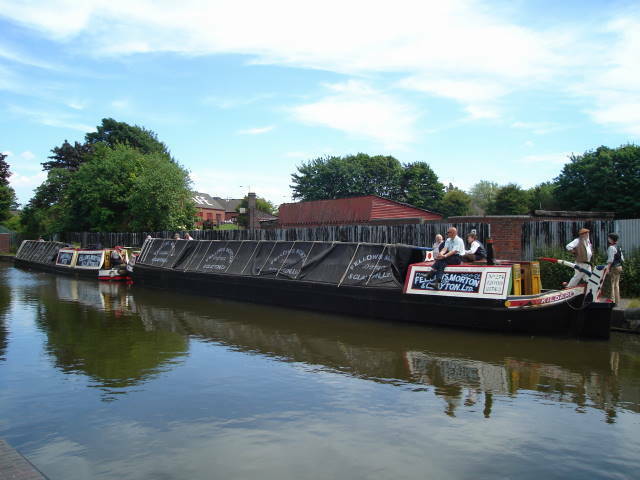 Then on returnÂ we ventured back to the black country museum in much finer weather.Â Moored up for two days to do soem much needed clearning (in the engine room). Steam narrowboat President and butty Kildare making a Saturday outing – captions about how many men it takes to steer President are welcomed (note all have to be in costume as well) – but jokes aside a wonderful site if slightly over maned!! Â Sunday we headed off for Park Head and progressed to Merry Hill. Spent a couple of days at the Anchor. Had a vet out to see Roly and got him some pain relief. Vet seemed to think he was doing ok and after the injections we saw a small improvement. Moored now at Brewood ready for an early start tomorrow for the Wolverhampton 21. Karen,s nephews will hopefully join us at some point to assist, although it is not a hard flight of locks. Left Barbridge this morning, up the locks through Audlem to moor on Market Drayton. Roly is a bit better but not looking good. 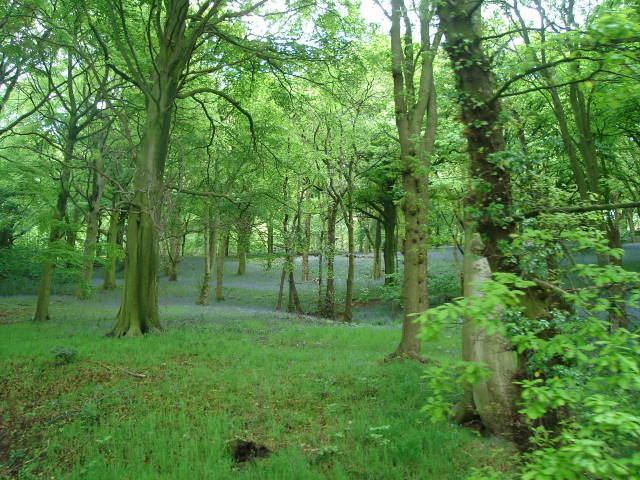 Shopping and washing tomorrow and then on to the Anchor at High Offley. 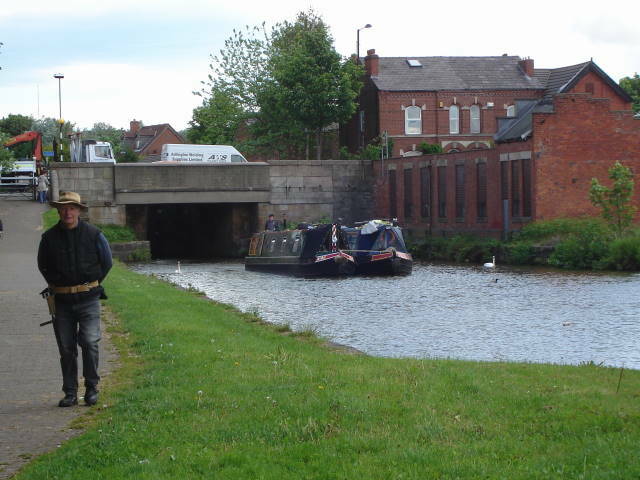 Moored at Middlewich. Karen brought the boat down from Wigan while I have been helping Anne move Grey Heron from Banbury up towards Coventry. Karen decided she likes the responsibility of teh boat on her own and has suggested we get two boats. But not just yet! 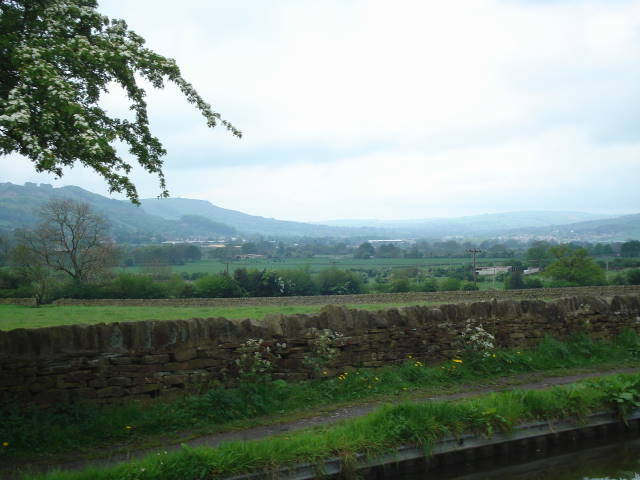 Heading down the Shroppie to Bham the next week so I can be near a station to get to Bristol after the Bank Holiday. Moored top of the Wigan flight after a few days travelling in the rain. 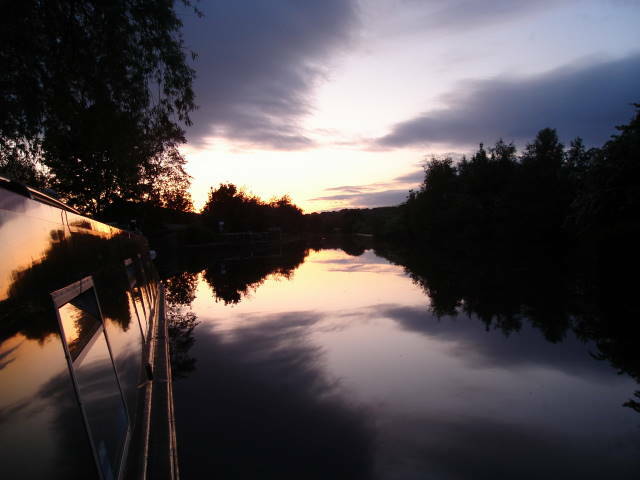 Heading back to Banbury Friday to help Anne move her boat. Roly still not too well. Jeff walking between locks whilst I brought the boats through the locks. 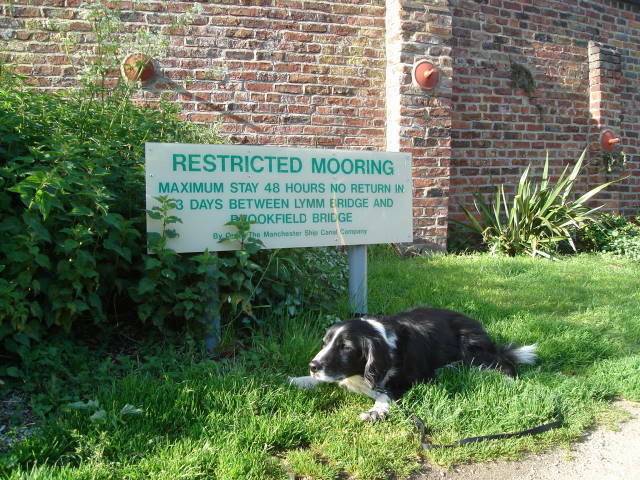 Moored at bridge 121 at Hapton on Leeds and Liverpool Canal. Engine got hot today after 8hrs cruising. Burnley was interesting but dirty, canal full of rubbish. Roly not looking too good today. Impressive trip from Leeds to Skipton. 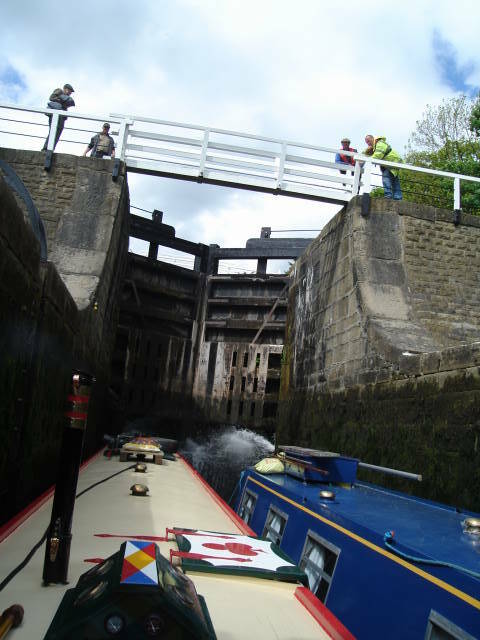 Several staircases of locks alongthe way and lots of swing bridges.Â The Bingley 5 Rise is the most dramatic, 60ft climb in 5 large chambers. Reached Skipton today and had a visit from my parents (Joan and Ray) and aunt (Pat). TheyÂ came along the towpath to meet us, mum in her wheelchair – “very bumpy especially when you’re desperate….” – so we managed to get them onboard at a bridge hole. but raining now so staying in for the evening. Windy trip down the Calder and up the Aire towards Leeds. Moored at Woodlesford for the night. 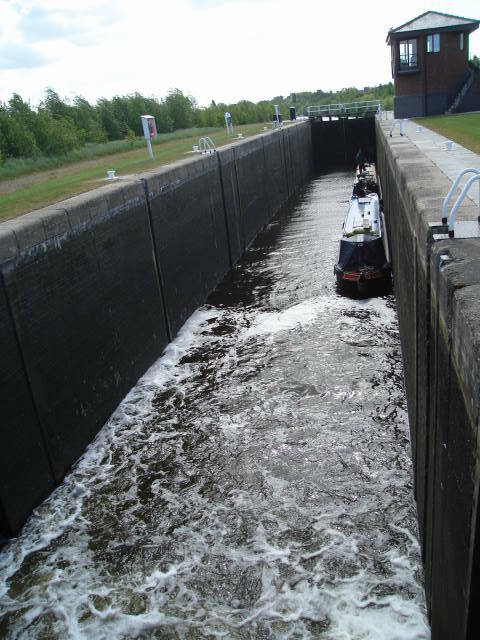 The locks have grown in size – Lemonroyd Lock built by British Coal pre-privatisation. Coal traffic has now stopped – Â£20 million well spent. But you can just fit two narrowboats in at a squeeze! The up side is that all the locks today were mechanised, but Karen was still exhausted with the mental effort of operating them. The April 2007 Newsletter is ready (sent via email and will be in post soon). I have also added a new page where each monthly newsletter will be made available. Final 9 locks down the Huddersfield Broad canal, double locks but only 60ft long, expect we’ll have to get used to them as L&L is like that all the way. Very windy. Interesting lift bridge as you leave Huddersfield which lifts the bridge section vertically rather than diagonally. Moored just inside flood lock on Aire and Calder past bottom of HBC. Heading for Leeds now, 16 hrs so will take at least a couple of days. You are currently browsing the Daniel Oakley blog archives for May, 2007.